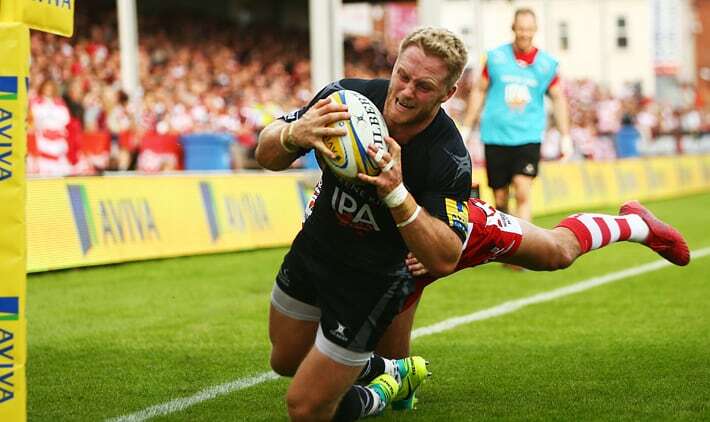 Throughout his decade-spanning career, Alex Tait has represented Premiership rugby team Newcastle Falcons. With a clear focus on constantly improving his own performance, he’s watched as the game itself has developed to demand more and more from its players. So rest and recovery time is vital, and to help him get the most out of it Alex purchased a high quality mattress from Mammoth. We caught up with Alex to chat all about the importance of recovery, and hear how he’s been getting on. From playing against New Zealand wizard Carlos Spencer to achieving a degree in Chemistry, it’s a wonder he’s had any time to rest at all. Alex began playing rugby at just 6 years old, in his home village of Wolsington in the North East of England. At 10, he secured a place at Barnard Castle School: a large-scale rugby school with a fantastic reputation for producing players who play at the highest level. While attending Barnard, Alex was scouted for Newcastle Falcons Academy and England U18s, managing to achieve a contract straight from school. He has now been at Newcastle for 10 years. So what do Alex’s teammates make of him? Alex says that if he hadn’t been offered a professional rugby contract, he may have gone into the medical field, saying that he “always wanted to be a surgeon as a kid.” And in the summer of 2016, Alex graduated from Newcastle University with a 2:1 Bachelors degree in Chemistry. Alex says that he is also proud to have played alongside and against so many talented players during his time with the Falcons, but says some experiences have been more enjoyable than others. Alex describes an intense training regime which varies on a daily basis, including 4 or 5 days a week of training with a mid-week day off for recovery. As the years progress, training methods continue to develop, with an increasing amount of focus being placed on the little details which can improve performance and keep players healthy. “I myself have suffered a fair few injuries during my playing career but, fortunately, none of them now cause me issues on a day-to-day basis. It also helps Alex perform at his best on the field, which he says is crucial for succeeding in the “competitive” Premiership. When he is playing away or enjoying a holiday, Alex says he always has to make sure the bed he is sleeping in is just right, especially the pillows. Otherwise, he can experience neck pain. He describes himself as a “pretty deep sleeper” despite having been told that he rolls around a lot throughout the night. So what is his best advice for falling asleep quickly? As a Glasgow Rangers supporter, Alex says that if he could have a late night chat with anyone, then former manager Walter Smith would be worth losing sleep. And of course, Alex also relies on his Mammoth for a good night’s sleep. Alex says that he was recommended to Mammoth by some of the other players he knows who had already invested in the brand. He then took some time to find out more information through the Rugby Players Association (RPA) website. One of his fellow Newcastle players, Rob Hawkins, was particularly enthusiastic about Mammoth and highly recommended it when Alex was looking for a mattress which would help with his lower back pain.